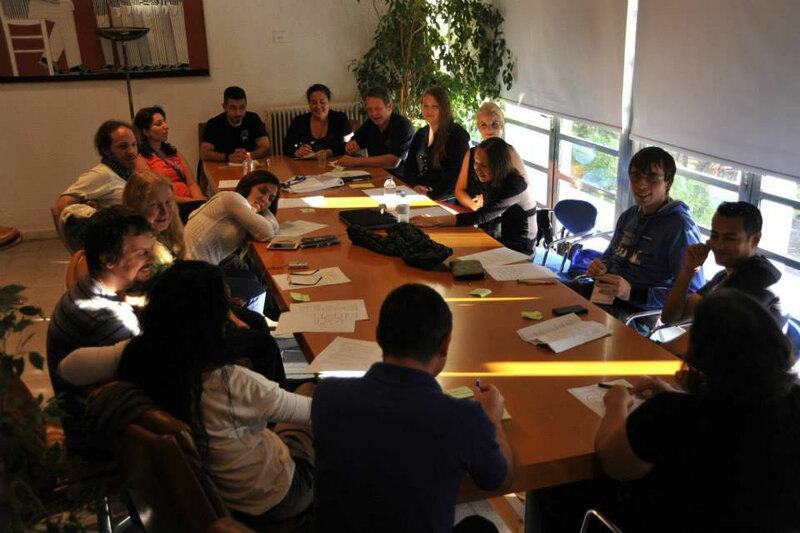 One representative of Youth Center of Epirus team attended seminar/conference the 8th international Tool Fair “Creativity+ Memory= Social Cohesion” in Delphi, Greecefrom4th to 9th of November of 2013. It was an international event with more than 130 participants from European and Mediterranean countries which targeted to share, experiment, discuss and further develop tools for learning; to shape own educational and experiential pathways, by facilitating and attending workshops; to celebrate and asses the process of the Tool Fairs and the Learning Strategy and to experience graphic reporting in order to strengthen awareness of learning experiences. This year annual Tool Fair focused on creativity and social changes. During the Tool Fair, around 30 learning tools were presented and discussed by youth workers, trainers and experts and it was a great and very useful experience for our team to participate in it.